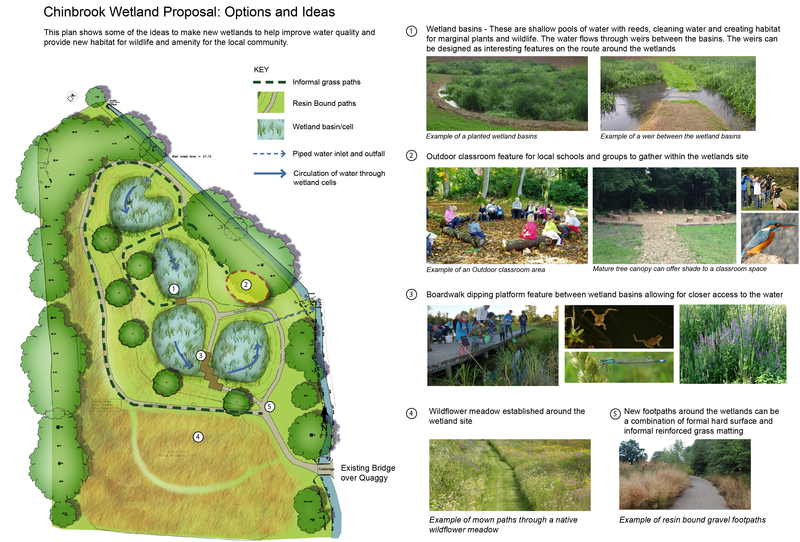 Here are the design ideas for the Sustainable Urban Drainage Scheme (SUDS) that Thames 21 is working hard to realise in the park. The work will alleviate pollution in the Quaggy by diverting water from the Grove Park Ditch so that it runs through a series of wetland “pods” thus filtering pollutants out before the water runs into the Quaggy. 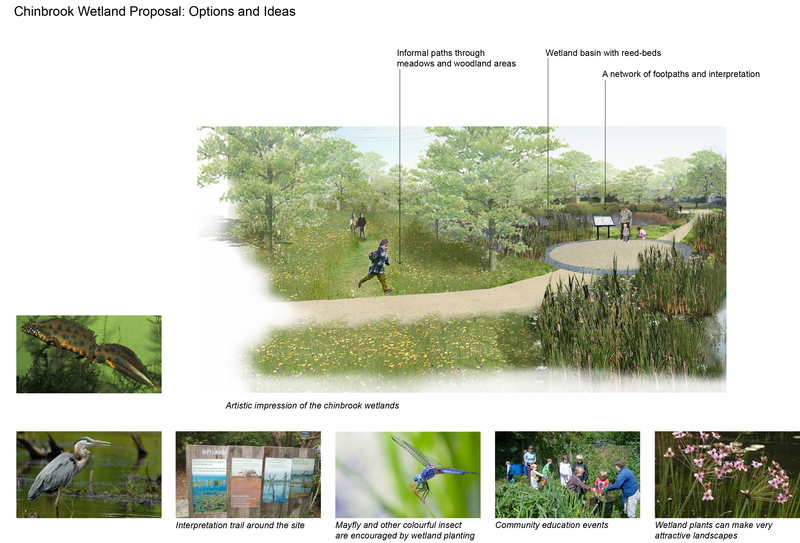 It will also create an exciting new wildlife habitat.